Right now, the cloud supports more critical business applications and capabilities than ever before. More companies in every industry are adopting cloud technology - in fact, the average enterprise currently leverages a total of six clouds, including three public cloud environments alongside three private cloud platforms, according to RightScale's State of the Cloud report. However, before your business can migrate its important data and apps to a cloud solution, there are a few key questions that should be answered first. Cloud migration is one of the most important initiatives your company will undertake, and asking the right questions will ensure that your cloud services are set up for success. 1) What type of security is in place, and will this help ensure compliance? One of the most critical considerations to make with a cloud migration is compliance. Many businesses operate within industries that have their own, unique compliance regulations used to govern sensitive information within that sector. Not following the standards set by legislation like the Payment Card Industry Data Security Standard, the Health Insurance Portability and Accountability Act and the Gramm-Leach Bliley Act, among others, can result in both legal and financial consequences for the business. "Cloud migration is one of the most important initiatives your company will undertake." What's more, it is the company's responsibility to ensure that its cloud provider has everything the organization needs to support compliance. For this reason, it's absolutely essential to ask your cloud service provider about the specific compliance regulations your firm must follow, and if the vendor has the right security measures in place. Syncplicity noted that one of the most critical elements to look into here includes the encryption used to safeguard data stored in the cloud environment. "Encryption of all data, in transit, at rest, and in mobile devices, should be the basis of any holistic security solution," Syncplicity stated. Best practices dictate that organizations leverage the highest encryption level possible - 256-bit Advanced Encryption Standard - for data both at rest and in transit. Compliance may also involve certain data residency rules, so it's important to ask about the location of the data center where information will be stored. This is especially critical for businesses that operate on a global scale - some standards prohibit the use of foreign cloud service providers. 2) What level of service can be expected? The SLA isn't just an agreement, it's a contract that defines the types of services that will be provided as well as the uptime and accessibility of these platforms. It's the responsibility of both the cloud service provider and the business to ensure that this SLA is closely adhered to. The SLA can answer many important questions that enterprises will have about their cloud services before, during and after migration. Availability is one of the most important designations included in the SLA, usually illustrated by uptime percentages or a tier rating based on the Uptime Institute's standards. This number helps denote any chance of an outage. Today's cloud providers are capable of near-perfect service levels, with availability guarantees typically reaching 99 percent or higher. 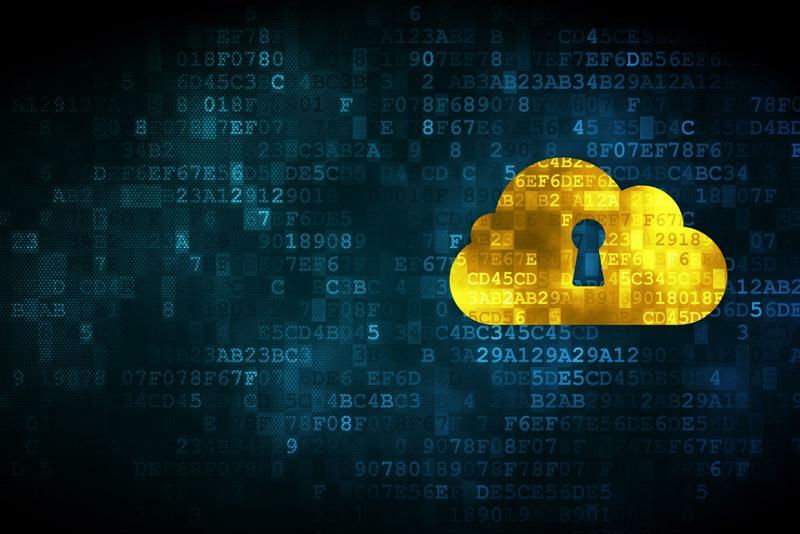 Encryption is essential when it comes to data security in the cloud. 3) What solution is being used to support the cloud? Right now, this question is more critical than ever. There are a few different platforms providers utilize to support their cloud services, and often this boils down to a Microsoft or Amazon offering. Microsoft Azure is currently a leader in the cloud infrastructure space, and is the only vendor named in three separate Gartner Magic Quadrants for the past two years. Adoption of Azure-based cloud solutions is increasing across the board, helping to propel Microsoft to the top of the market. Azure private cloud solutions offer unmatched scalability, integrated tools as well as some of the staunchest security measures available today. What's more, Azure's open source framework enables companies to take advantage of a range of applications and flexible service platforms while providing a host of capabilities for developers. When asking questions pertaining to a cloud migration, it's critical to consider the service supporting the cloud. An Azure solution can help put your company in the best position to achieve success in the marketplace. To find out more, contact Apptix today.